Buying a dash cam for your car, such as the Nextbase Dash Cam 212G available at Argos that provides you with high-quality footage and the ability to record in Full 1080p HD at 30fps, and you’ll be joining a growing number of motorists who are turning to this technology in order to stay safe whenever they go for a drive. According to a survey by Aviva involving 2,500 motorists, 27% use a dash cam on UK roads— 72 per cent of those who say they have enhanced their vehicles with these devices have also encouraged other drivers to follow their lead. The study went on to reveal that 48 per cent of those with a dash cam believed the gadgets will provide them with peace of mind if they suffer a collision while driving, while 36 per cent of those who responded to the survey acknowledged that the devices help to make them feel safer on the road. Parking seems to be an issue for motorists across the UK. For instance, a survey that was commissioned by RAC Insurance revealed that 35 percent of those questioned admitted to having their car pranged at least once after parking it in a car park. Thirty-one per cent said that they had experienced this on multiple occasions, with 28 per cent stating that they had recorded three lots of damage. Staggeringly, 23 percent noted five incidences. Research carried out by Accident Exchange revealed that there a half a million car park collisions recorded every year. With that, the average cost of the repair came in at £1,428. Based on these figures, UK drivers are faced with a £716 million bill on an annual basis! Collisions aren’t the only thing worrying and frustrating motorists though, as a study commissioned by the Accident Advice Helpline via OnePoll.com and involving 2,000 drivers across the UK revealed that parallel parking is the nation’s trickiest driving manoeuvre. Fitting parking sensors to your vehicle could help to reduce the stress while parking your car. For instance, the EchoMaster Rear Parking Display System which is available from Halfords can clearly alert drivers about how far their car is away from other vehicles and objects once the equipment has been installed. Your blind spot is the portion of the road that you are unable to see, whether you’re looking through the windscreen, or using the rear-view and side-view mirrors. Depending on the situation, these blind spots — generally seen on the rear left and right side of your vehicle — can cover a large enough area to block out a pedestrian, cyclist, motorbike or a car from your view. When it comes to blind spots, the problems UK drivers encounter are when they’re changing lanes or turning onto a new road is clear to see. GOV.UK has stated that vehicle blind spots were a contributing factor for 1,250 accidents recorded in 2016 alone, for example, while an analysis of 50,000 road collisions conducted by Accident Exchange revealed that the majority of these incidents were found to be due to issues with blind spot visibility. Direct Line Car Insurance carried out research which revealed that over 11 million motorists have been caught up in a collision while driving either because they didn’t have their eyes on the road or had failed to check their blind spots. 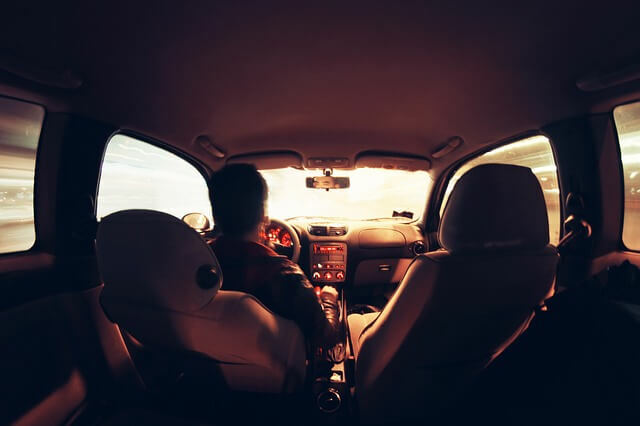 The insurance firm’s head of automotive technology, Nick Reid, reflected: “Letting our eyes drift away from the road while we drive or not checking our blind spot before manoeuvring is dangerous at best and potentially fatal at worst. We urge drivers to consider not just themselves but other road users and pedestrians when driving, as ‘I just didn’t see them’ is not a valid excuse for any collision. There you have it — three must-have gadgets to add to your car without delay which should certainly help make you a better driver and feel much safer wherever you go from A to B! Use FamilyTime Parental Controls To Keep Kids On Track In Cyber World!